2x12 Gitarren-Combo Gehäuse. Unten habe ich ein Video gemacht mit dem Amp (ähnlich Fender Deluxe Reverb), den ich gebaut habe. Hier geht es nur um das leere Gehäuse. Es ist aber auch möglich ein neues Chassis vom Tube-Town oder TAD zu kaufen und in dieses Gehäuse einzubauen. (Preamplificatore a valvole 3 x 12AX7) e amplificatore di potenza a valvole (2x 6L6). 01 ingresso chitarra sensibilità 100mV. Peso: 18,5 Kg. Ingresso per Footswitch (opzionale). Vendo per inutilizzo, mi è stato regalato per natale. È nuovo, provato solo un paio d'ore. Spedisco in confezione originale completa di tutto. The MeteOR from JOYO’s BantamP series is a very compact and portable 20 Watt head. It gives you a modern high gain sound with a lot of dirt and bite. Based on a more modern British approach to heavy sounds, it excels in a variety of genres. It was the punk and indie scene that introduced those sounds to the world, but today, due to an increase in gain, also the metal players enjoy this alternative British flavor. The Meteor can give you those sounds in a tiny package and deliver a hefty punch of gain and bottom end..
Er ist einfach einzurichten und kann durch einen normalen Gitarrenverstärker oder eine Kombination aus Verstärker und Lautsprecher brillante Klänge erzeugen. Focusrite Platinum OctoPre LE 8-Kanal Mic / Line Preamp Vorverstärker /GEWÄHR/. Potete anche richiederci varianti e specifiche personalizzate. Sono componenti progettati e realizzati per gli specialisti del settore audio: costruttori e operatori di assistenza tecnica. Il risutato di molti anni di esperienza. Rocktron Gainiac 2. Volle Funktion. Bei mir können Sie die Ware auch ohne Grund zurück geben. Gain ohne Ende. Tube Guitar Preamp / Röhren Vorstufe. Passt nicht?. einfach zurück damit und Sie erhalten Ihr Geld. There are many models produced for each class and type of power amplifier: single-ended, push-pull class A, AB. Potete anche richiederci varianti e specifiche personalizzate. You can also ask variants and customized specifications. Wir sind ein spezialisierter Anbieter im Bereich E-Gitarre und Bass. Wir vertreiben ausschließlich Qualitätsmarken. Randall USA MTS 1086 Don Donegan guitar amp module. 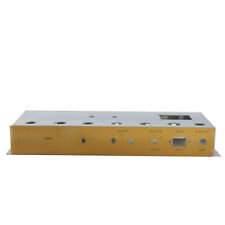 Product number: 941021 "Randall USA MTS 1086 Don Donegan guitar amp module". (Marshall). Made in Italy. 6L6GC, 807, 5881, EL34, 6146B, 6550B, KT88. special design. Rocktron Voodu-Valve. Sehr dickes Blech mit übertrieben. Potis und Display funktionieren einwandfrei. Volle Funktion. Sehr guter Zustand. Sehr guter Zustand. Passt nicht einfach zurück damit und Sie erhalten Ihr Geld. The BlueJay from JOYO’s BantamP series is a very compact and portable 20 Watt head. The BlueJay, is an amp that got its name not from its feathered friend by the same name but rather from the fact that it can be a great companion for Blues and Jazz. Its warm clean tones are reminiscent of the classic amps that came out of California all those years ago. It can do more than clean though, it can also deliver rich overdrive tones that make you want to play those pentatonic licks all day long. .
Engl Gigmaster 15 Combo E310. Product number: 425033 "Engl Gigmaster 15 Combo E310". More information and high resolution product pictures are available on our website. Gigmaster 15 Combo E310. Der kleine Gigmaster 15 Combo E310 bietet unglaublichen Sound und Möglichkeiten für jeden anspruchsvollen Gitarristen. CM10 10H 125mA 115ohm 500. Choke mod. There are many models produced for each class and type of power amplifier: single-ended, push-pull class A, AB. Potete anche richiederci varianti e specifiche personalizzate. More information and high resolution product pictures are available on our website. Gigmaster 15 Combo E310. Der kleine Gigmaster 15 Combo E310 bietet unglaublichen Sound und Möglichkeiten für jeden anspruchsvollen Gitarristen. DAC / Audio Decoder. Phono Pre-Amplifier. AV Tube Integrated Amplifier. Hi-Fi Tube Amplifier. Digital Amplifier. Integrated Amplifier. Headphone Amplifier. Sound card/DAC. 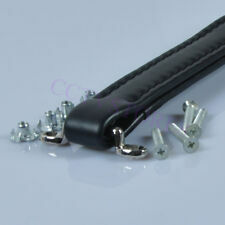 For Fender's Style Handle Black. Handle length approx 8.375" when flat. Handle width approx 1.25". No real leather. Built your own 18watt style guitar amplifier using the chasiss. Guitar Tube Amp Amplifier JTM45 Chassis and Faceplate Built your own JTM45 style guitar amplifier using the chasiss. Dimension: 18.32" x 6.5" x 2.5". 1pc Guitar Tube Amp Amplifier 18W JTM45 Watt Marshal Style Chassis. Built your own 18watt or JTM45 style guitar amplifier using the chasiss. Undrilled holes. INVENTORY #32451. Everything on this Thrasher is in tip-top perfect working order! Each channel has its own amazing signature sound, and every feature and every function operates flawlessly. Overall condition is excellent! AMPEG SUPEREVERB GUITAR AMP. AMPEG DESIGNED AND PRODUCED THIS AMP IN 1963. Ampeg quickly obliged. But for a period of a few months this amp made it to the market. The condition of this amp is excellent. Used Laney LC50 tube guitar amp combo. Features a 12” HH Premier Vintage 60 speaker. Tolex has its share of rips and nicks, dings. Just tested, everything on the amp is working. Made in the UK. Guitar Tube Amp Amplifier 18W Watt Chassis and Faceplate for DIY Built your own 18watt style guitar amplifier using the chasiss. There is no hole Material:Aluminum Thickness:2mm Unit:mm Remark:Accept OEM Dimension: 18.32" x 6.5" x 2.5". The JOYO Bantamp series are arguably the most feature rich & versatile mini amp heads available at this price in the UK ! The 12AX7 pre amp tube produces the warm smooth overdrive tones that do not clip tone as a typical fixed state amp head would. The Blues 5W Amp and Overdrive Pedal are killer. Amazing tones and versatility. Easy to use and a blast to play. 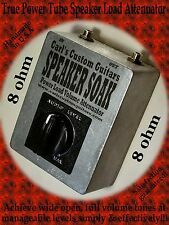 Dealing with with Bootlegger and its owner Chuck was easy, fun and personal as if I was custom building my amp. EVH 5150 III LBXII 15-watt Tube Amp Head Features This amp is in great shape. Anything else in the pictures is not included. Effects loop. 15-watt high-gain tube amplifier designed around the Van Halen sound. Introducing tube amplifier for guitar. There is a switch on and lamp indication. New technologies underlying the microphone that allows to extend the limit of the frequency spectrum is usually perceived ribbon microphones to 18 kHz. A REAL QUALITY AND VERY LOUD AMP. IF YOU ARE UNABLE TO COLLECT WILL SEND BY PARCEL FORCE. WAS A ABOUT 3 YEARS OLD WHEN I BOUGHT AND HAS NEVER BEEN GIGGED AND IS IN VERY GOOD CONDITION. Condition is Used. Everything is in perfect working state. The channels share EQ, lush reverb and an effects loop. Channels, crunch, effects loop and reverb are all footswitchable. Rear panel features such as an effects loop, Microphone Simulated Direct Interface (MSDI) with XLR output and USB out, speaker defeat switch and a three-position power attenuator switch make the 6505 MH an ideal tool for recording or use in smaller venues. Guitar Tube Amp Amplifier 18W Watt Chassis for DIY Built your own 18watt style guitar amplifier using the chasiss. Dimension: 18.32" x 6.5" x 2.5" No Faceplate. The amp has a beautiful clean tone and a lot of headroom. This is a modified Clone based on the TMB 18W Amp Schematic. The ceramic tube sockets have a little play (power and rectifier sockets)but. The clean sound is amazing. Guitar Tube Amp Amplifier 18W Watt Aluminum for DIY Built your own 18watt style guitar amplifier using the chasiss. There is no hole Material:Aluminum Thickness:2mm Unit:mm Remark:Accept OEM. Pilot Light Indicator for Guitar Amplifier Blue 1PC. For Fender Guitar Amplifier and other amplifier. Blue Pilot light. Bulb no including. A classic then and a classic now. Among its many fine sonic attributes, this Fender '65 Deluxe Reverb is prized in particular for its luscious spring reverb. Includes two-button footswitch and cover. 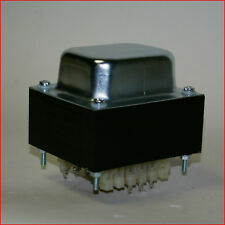 INVENTORY #31299. for a Two Rock Overdrive Signature Tube Amplifier Electric Guitar Amp Head. MODEL: Overdrive Signature. WORKING CONDITION: Excellent - Easily one of the best clean tones I have ever heard an amp put out! 50K Linear taper. 1/4" shaft. I will try to keep. All tube, 50XX, 35, 12u. 1set Bassman Tweed 5F6A Style Guitar Tube Bass Amp Amplifier DIY Kit. Built your own 5F6A style guitar amplifier using the kit. 3pcs switches, fuse and fuse holder. 1pc power cord (US or EUR). We have 5E3 kit, 5F1 kit and 18W kit, too. Voc Ac 4 C1 GR. Condition is Used. A couple of small stuffs on the exterior but works perfectly. Dispatched with Royal Mail Signed For® 2nd Class.